ONLY TWO WEEKS REMAINING FOR OUR SUMMER HOLIDAYS & SEASON OFFER ENDS! GIVING LANDLORDS/LADIES MORE TIME TO ENJOY THEIR SUMMER HOLIDAYS & SEASON! HRCIC can help you achieve your Summer property letting and management plans and goals, and start the next Autumn season on a positive note regarding the return on your property investment. GET IT RENTED before you take your Summer Break! If you are a landlord/lady and having problems or just don’t time to rent out your property before you take your Summer Break or during the Summer Holidays, HRCIC can help. You can appoint or instruct us to do it on your behalf. GET IT FULLY MANAGED before you take your Summer Break! If you think that you have other better things to do or priorities before and during the Summer Holidays and or in the near future than managing your property by yourself, don’t worry! HRCIC can do it for you. GET IT MAINTAINED before you take your Summer Break! The last thing any landlord/lady would like to hear is while they are having their long waiting holidays with relatives and or friends (having their preferred drink, meal and chat in their dream location at home or away), tenants try to contact them to deal with some property maintenance issues. If for any reason you can’t maintain it by yourself, HRCIC can take care of your property while you are having your dream holidays and or Summer recess. GET IT FINANCIALLY MANAGED before you take your Summer Break! If you are busier than managing the finances linked to your rented or managed property (e.g. chasing your tenants for rent over the Summer time), then HRCIC can collect your rent and financially administer it and other financial aspects related to your property. APPOINT HRCIC TO ACT AS YOUR SUMMER CONTACT before you take your Summer Break! If you are contemplating to be abroad or away for a little while during the Summer time or even just somewhere away from your property, and you don’t want to leave your tenants without any third party contact, why not instruct HRCIC to act as your holidays contact should there any problem or an emergency. HRCIC can competently act on your behalf while you are away. Whether it is about Letting Only, Property Management and Maintenance, Rent Collection and Administration or just a Property Contact/Liaison, you can instruct HRCIC to do so. By taking the decision to appoint us in this way, this will enable you to have a relaxing, hassle-free, peaceful and less costly Summer Holiday and season with your property rental business. JUST INSTRUCT US NOW FOR A HOLIDAY PEACE OF MIND AND SECURITY OF YOUR INVESTMENT! WE ARE READY TO TAKE YOUR SUMMER LETTING AND MANAGEMENT INSTRUCTIONS. Just Talk to HRCIC’s Holidays Lettings Negotiator. Wishing you a relaxing Summer holiday! There are many factors that contribute to a prospective tenant’s decision to rent a property. Amongst them, there are design structures and favourable weather-induced conditions. The way in which the property to rent is designed matters just as favourable weather conditions like sunshine and sunlight they do. A property that captures or enjoys a good amount of exposure to the sun and natural light can be attractive to prospective renters. This kind of property can offer not only rental attraction but also climate value. More sunshine and sunlight into a property could mean less use of energy (such as electricity and gas) to light up and heat the property. This can reduce costs on the occupier’s energy bills. This has as well a climate value or sustainable impact as it can reduce the occupier’s carbon print. Indeed, sunshine and sunlight offer other benefits such as reduction of dampness inside the property, improvement of the quality of air, reduction of respiratory diseases etc. Although, some of these benefits need to be accompanied with a good property maintenance, fittings and furniture; sunshine and sunlight can and should be a point of negotiation in the property renting process. This is despite the fact that solar panels can be used. Sunshine and sunlight are natural, therefore cheaper. Property design architects and building contractors who integrate the control of sunshine and sunlight together of air pollution in their work can offer a real climate-friendly choice to accommodation hunters, particularly those on low income earning potentials as this can help them to reduce the costs of running their household bills. So, by controlling or capturing sunshine and or sunlight into a property through its designing architecture, they can offer a great perhaps invaluable climate content to property letting and renting for landlords/ladies and tenants respectively. For your Summer Maintenance projects with a climate value (eg. climate mitigation and adaptation works), please contact Home Relief NOW! You can have your landlord/lady resident property or your tenanted property or even your empty property painted and or decorated by Home Relief over the Summer season. With HRCIC, you get for your property the painting and decorating look it deserves with the colours and flavour of your choice. Whether it is about a property you reside yourself as a landlord/lady or a tenanted one or even an empty one, Home Relief can add value to your Summer season and or holidays. It is always a good idea to take away the undesired remaining of the ended season (Spring) and kick off the new season (Summer) with fresh paint, deco and attractive smell for your property. This adds value to your investment. If you have a property that deserves a touch of painting and or decoration, please do not hesitate to contact us. If you are not going to be around over Summer holidays, don’t worry we can still do the job while you are away. Just talk to HRCIC and we will be able to help. We have a number of rooms to let (of single, medium, double and large sizes) on our property letting books within the London Borough of Croydon and surrounding areas. Their prices vary depending on the following: locations, sizes, conditions, furnishing, fittings, transport facilities, local amenities etc. They are valued at the current rental market as shown below. If you are or someone around you is contemplating to rent a room over Summer season, just talk to Home Relief. To apply and or register as a tenant. please contact Home Relief NOW! The following points, which concern landlords/ladies in the property rental sector, stem from Spring Budget 2017 which was published on 08 March 2017. ♦There was no further development about the abolition of mortgage interest rate relief, announced in July 2015. ♦A three per cent hike to stamp duty on buy-to-let properties remains unchanged. ♦Delay to the deadline for digital tax returns for self-employed including landlords/ladies. ♦Tax digital is not yet compulsory for unincorporated businesses and landlords/ladies with turnover below the VAT threshold; with the exemption of businesses, self-employed people and landlords/ladies with turnover under £10,000. ♦The Government is extending the cash basis to landlords/ladies starting on 6 April 2017. In contrast to the accrual basis, landlords/ladies that use cash basis are taxed simply on the difference between the income they actually receive during the year and the expenses they pay during the year. ♦Landlords/ladies will have the tax relief on their mortgages reduced starting on 6 April 2017. ♦Rental income received by landlords/ladies (e.g. full-time landlord/lady with rental income of £50,000) will be charged less tax in 2017/18 as the income tax personal allowance is going up from £11,000 to £11,500 and the higher-rate threshold is going up from £43,000 to £45,000. If you are a tenant or planning to rent, please be aware of the Right to Rent Criteria. This right is basically linked to your right to stay in the UK. Your right to rent in the UK could stem from your treaty rights if the immigrant tenants’ country of origin signed treaty rights with the UK. We recommend to all our prospective immigrant tenants to check their right to rent and or their treaty rights if they have any before embarking on any rental process. You can contact HRCIC for free support before you realise that you do not have or have lost your right to rent in the UK. For further details, visit https://www.gov.uk/check-tenant-right-to-rent-documents/how-to-check or http://www.gov.uk/passport-advice-line or even call on 0300 330 0000 from 08:00am to 8:00pm Monday to Friday and 09:00am to 5:30pm weekends and public holidays. We can provide to Landlords/ladies with expertise, support and assistance they need to take their residential property lettings and Management to the next stage of success. For example, you started to let one room or flat or event house; then you want to build and scale after succeeding in investing in the rental market. With our expertise on the local property markets together with financial advice and administrative service; we can work together to ensure that you achieve the residential property letting and management goals you set up. In doing so, you can increase and vary your property investment portfolio while reducing investment risks. For more details about HRCIC’s Landlords/ladies expansion projects and plans/package, please contact HRCIC on this site. ONLINE REFERENCING – Helping you to build a clean online profile and reshape your social media accounts to attract more Landlords/ladies. Just ask HRCIC. PAY AS YOU GO: you can pay a fixed fee per week. No Contract. No Tie in. PAY UPFRONT: you can pay the full commission/fee once the letting process has been completed. Let HRCIC know which option suits you NOW! Home Relief can help you to build a clean online profile and reshape your social media accounts to attract more Landlords/ladies. Just ask HRCIC. You can recommend landlords/ladies to Home Relief. Our referral scheme is designed to recommend other landlords/ladies to us and in doing so you get a commission or percentage once your referral has been successful. There are no limits to the number of referrals you make. So, if you refer enough then you start to make your money. Start Referring Today to earn your commission or percentage! The commission will be paid only for successful referrals. In other words, you as a referring person will only be paid when your recommended landlord/lady agrees to instruct HRCIC and after letting and management of their property. For details on how it works and our referral terms and conditions, please speak to HRCIC. GOOD NEWS! HRCIC Property Rescue Mission Service! Property Rescue Mission Service is one the HRCIC property services. If your property has been abandoned by tenants or if you are facing any problematic tenancies, HRCIC Rescue Service can be of help to you. This service can provide huge benefits to you, Landlords and Landladies, from handling/mediating minor disputes between you and your tenants as a third party to saving you calamitous legal costs. 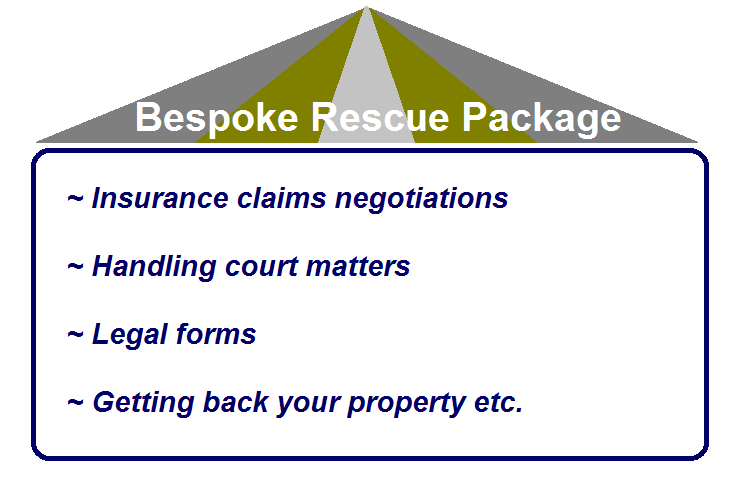 Our Rescue Mission is not a legal service as we do not replace solicitors. However, we can provide you with the service which will avoid you huge costs and hassle. At the start of this Summer 2017, we have discounted offers if you use our Rescue Mission service. If interested in, please contact HRCIC Property Rescuers or Relievers. To rent a room from HRCIC, tenants are required to pay an administration fee of £75 per room per tenant. This payment is required besides Deposit and Rent in advance. Under HRCIC Administration Fee Payment Plan, tenants can get a discount and commit themselves to a low weekly payment of £6.25 for two months. This save them £25. Further details about this are given under the heading List of Contents. We would like to inform all landlords/ladies and homeowners that you can register your property to rent for FREE with Home Relief at any time. After registration, the details of your property to rent will be added to our list of properties to let. This e-list circulates online amongst prospective tenants. Also, HRCIC Letting and Management Agents are available for any query regarding your property-to-let registration and any other queries which may arise from your property lettings. Please do not hesitate to contact us should you wish to discuss any matters regarding your current lettings and or letting plans. We are ready to welcome you as our landlords/ladies. We have rooms to rent ranging from small to extra large ones. Working and professional people are preferred but we also consider people claiming benefits. HRCIC can support tenants. We do not only ask prospective tenants to meet rental requirements, we can also help them to rent for those who are finding it difficult to rent. If you have any problems for renting a property because of your conditions or circumstances, please do not hesitate to contact HRCIC for support. 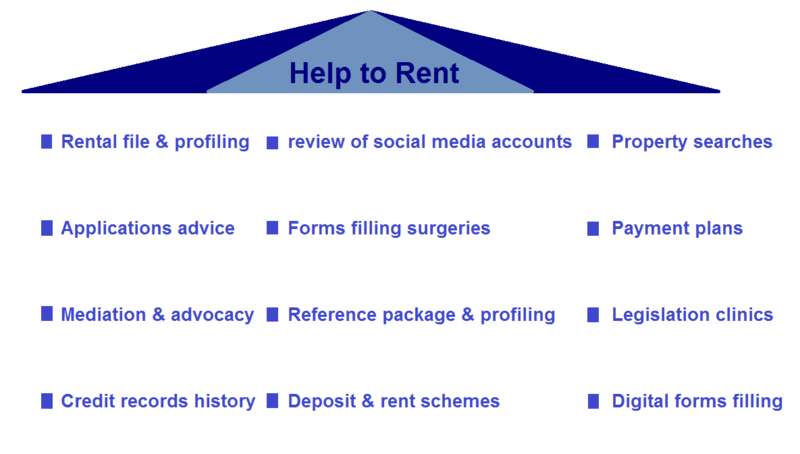 You can check on the Tenants page on this site to find out details of HRCIC Help to Rent. On Property Search page of this site and under the section Property Updates, you will find a selection of what we have on offer at the moment. THINKING OF PAINTING AND DECORATING THIS SUMMER? All your property painting and decorating needs met at HRCIC! We have Summer Painting and Decorating Services to offer to Landlords/ladies at reasonable prices. You can adapt your property painting and decorating look to match the weather and the festive occasion, to get good value for money and to appeal to prospective renters. This will maximise the potential letting of your property and the return on your investment. Get your property ready for NOW! Call HRCIC for a free estimate. We can refresh the interior and exterior structure of your property by giving it an attractive and lively touch of paint and redecoration with the taste and choice of colours you want. This will not only take away the remains of Summer but also can help recreate and renovate the dreaming living environment you would like to have. Property Updates are carried out at the beginning of every week (1 / 7 DAYS). You can make Online Property Enquiries 24 hours 7 days (24 / 7) a week. To find out what is on our e-books, just go straight way to HRCIC To-Let-Board Section on the Property Search page. Likewise, to know who is looking for a property to let and what type of property they are looking for, read our Residential Property Wanted-Board Section on the Property Search page. We hope you find the contents of this BLOG post useful! If prospective renters have social media accounts, they need to make sure that what they put on them does not affect their references to rent a property or just put off some landlords/ladies. As you know what you put on your social media accounts tell people who you are or dictate the future landlords/ladies’ decision on the kind of tenants they are looking for. In particular, attention must be paid for the types of pictures, images, adverts, photographs and any other messages that can make you not eligible for renting. At HRCIC, we scrutinise social media accounts (if prospective renters have them) as part of referencing methods in the process of selecting the best home applicants. If a tenant is not sure on the kinds of information and or materials they need to put on their social media accounts in relation to renting matter, they can ask HRCIC for advice and we are ready to help. If you or someone else have ever been the victim of online property rental scam whereby you or they have been instructed to transfer an upfront fee or deposit to secure the property before you or they are invited to a viewing when simply both the property and the landlord/lady do not exist; this is simply called scam or fraud. According to the Action Fraud, rental fraud happens when would-be tenants are tricked into paying an upfront fee to rent a property while property fraud involves fraudsters offering you a ‘get rich quick’ investment scam, claiming it can turn you into a property millionaire. (http://www.actionfraud.police.uk/fraud-az-rental-fraud). ● 0300 123 2040 (textphone 0300 123 2050). Do not hesitate to use the above resources and if you have more resources about this kind of protections please share! ● To Landlords/ladies: A new mandatory ground for possession for you! The right to remain in a property will be soon linked to the immigration right to remain in the UK through the Immigration Act 2016. A new mandatory ground for possession to be known as Act 7B under a Section 8 notice will be in force by the end of the year. This will give Landlords/ladies the right to evict illegal occupants from their properties and accessing housing. ● To Tenants: Passing the Right to Rent Criteria! If you are a tenant or planning to rent, please be aware of the incoming New Right to Rent Criteria. This right is basically linked to your right to stay in the UK. You can contact HRCIC for free support before you realise that you do not have or have lost your right to rent in the UK. To rent a room from HRCIC, tenants are required to pay an administration fee of £75 per room per tenant. If you sign our admin fee payment plan you get £25 OFF and commit yourself to a low weekly payment of £6.25 for 8 weeks. This is subject to terms and conditions. This price plan does not apply to deposit and rent in advance. For those having problems in raising the required deposit and rent in advance, we can support them differently by signposting them to rent and deposit schemes. However, this payment plan applies to other types of properties as well. If interested in, please try HRCIC for 15 minutes free advice without obligations (by appointment only). A PART-TIME BUSINESS SUPPORT VOLUNTEER REQUIRED! To support various aspects of residential property letting and management at HRCIC including liaison with Landlords and Tenants. This is a multi-skilled and multi-tasked role. Although this role is unpaid, you get reimbursed your travel expenses and lunch depending on circumstances. There are other benefits as well, such as preparing yourself to get back to work, developing property letting and management skills and knowledge, opportunity for training in the property management industry and to meet employers, possibility to enhance other skills (communication, negotiation, administrative, digital) etc. As a business supporter, your main tasks will be: to raise customer awareness of HRCIC services, to help us develop our concept of property for all and deliver our business model of residential property letting and management with social goals. No experience is required but commitment, trustworthiness and reliability to volunteer are essential. Basic terms for volunteering: unpaid role, flexible conditions, one to two days a week, hours and days to be agreed. If interested, please e-mail your CV (including contact phone number) to support@homerelief.co.uk. We provide a range of services to support prospective, existing and previous tenants who are experiencing problems with their tenancies. These services depend on their personal circumstances. For further details about these services, we recommend to visit the Tenants page on this site. GET YOUR HOME APPLICATION KNOWN AND SEEN BY HRCIC AND OUR LANDLORDS. WE ARE READY TO TAKE YOUR RENTAL APPLICATIONS FURTHER. Just Talk to HRCIC Lettings Negotiator. Landlords and landladies, adapt your property and mitigate the adverse climate-related impacts on your property this Summer 2017. You can do it by carrying out some basic but useful maintenance activities to keep up or spice up your existing or already undertaken maintenance work. This can help not only to boost your property value but also to keep it environmentally friendly sound for yourselves and your tenants, especially at this time of the year – the Summer season. If you cannot do it by yourselves, you can instruct HRCIC. Get your Summer Maintenance projects done by HRCIC for climate mitigation and adaptation in your own way! For free quotes or estimates without obligations for your Summer Maintenance projects, contact HRCIC NOW. For further information about HRCIC maintenance service in general, please visit the “Property Management and Maintenance” page on this site. There have been changes with regard to taxes linked to residential property lettings and management. The following selected key financial points of taxes, which were effective from 6 April 2016, could be of interest to you. Smoke and Carbon Monoxide Alarm Regulations 2015 (since the start of October 2015): 1/ At least one smoke alarm installed on every storey of properties 2/ A carbon monoxide alarm in any room containing a solid fuel burning appliance. Knowing something is one thing, but doing something about it is another thing. If you don’t know how to go about it or what to do, please do not hesitate to contact HRCIC for help or action.